The map shows the way of comet. 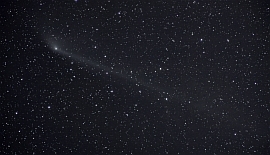 The vertical orbit to the earth explains why the comet could not be seen till the 10th of march in the northern hemisphere. 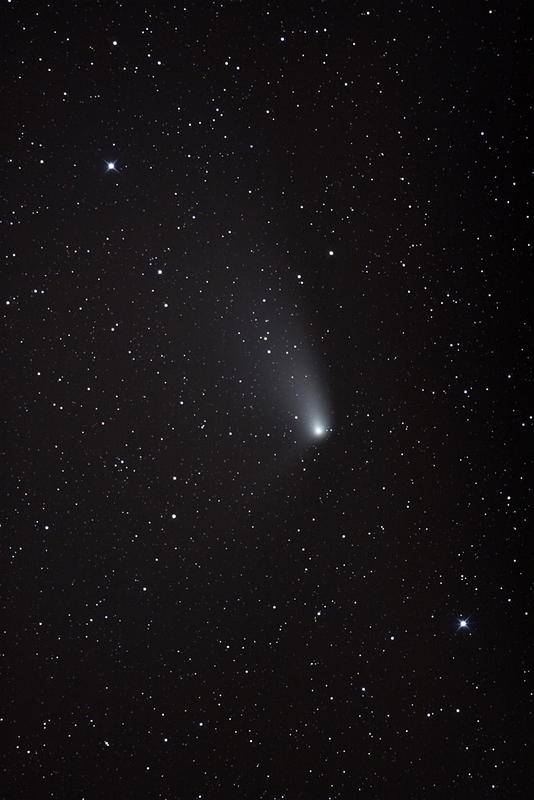 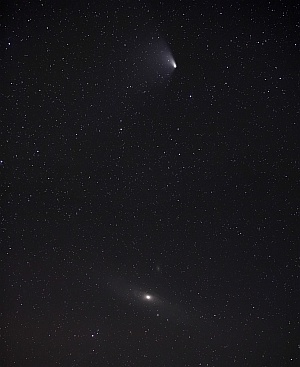 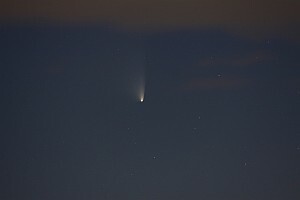 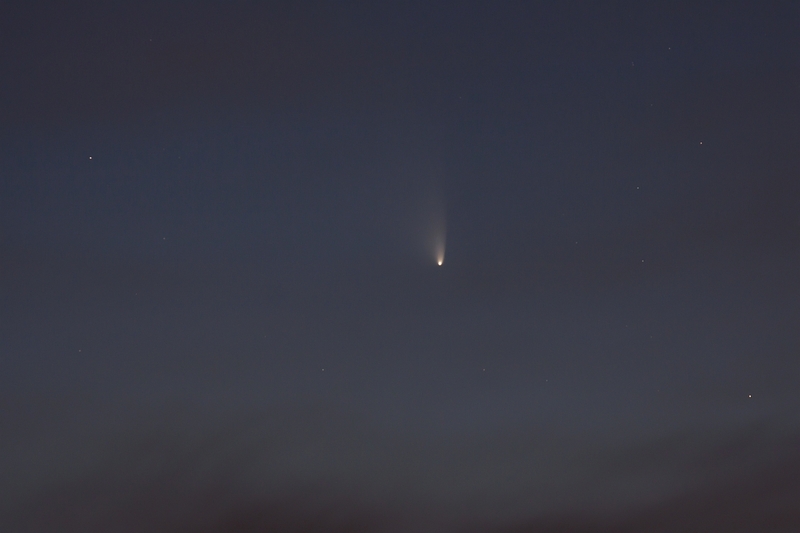 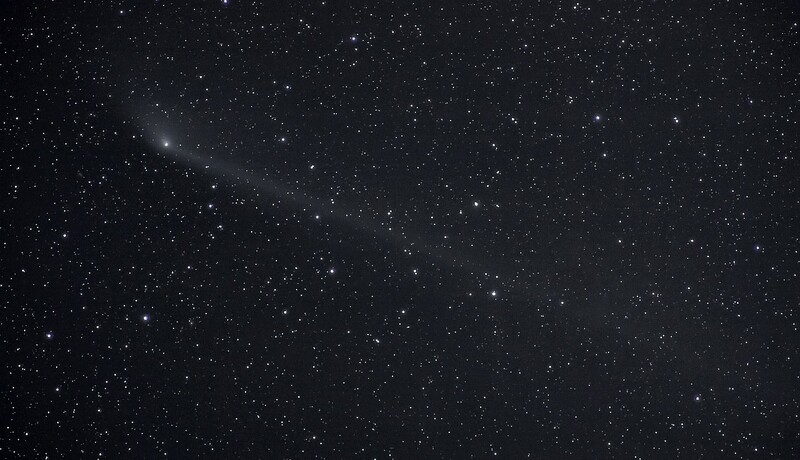 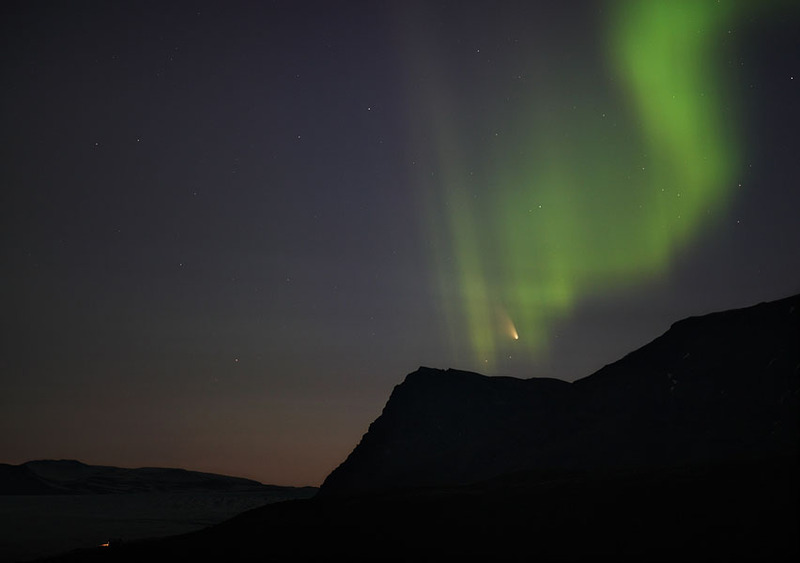 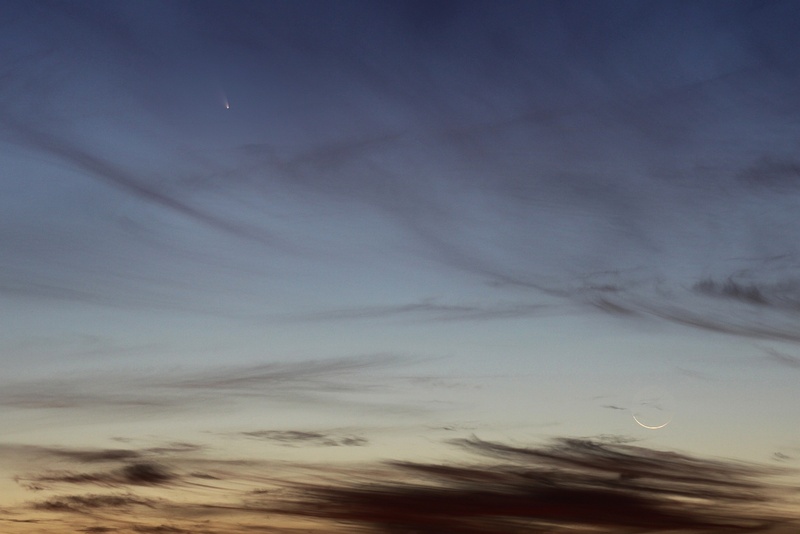 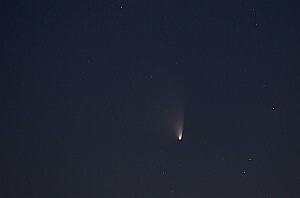 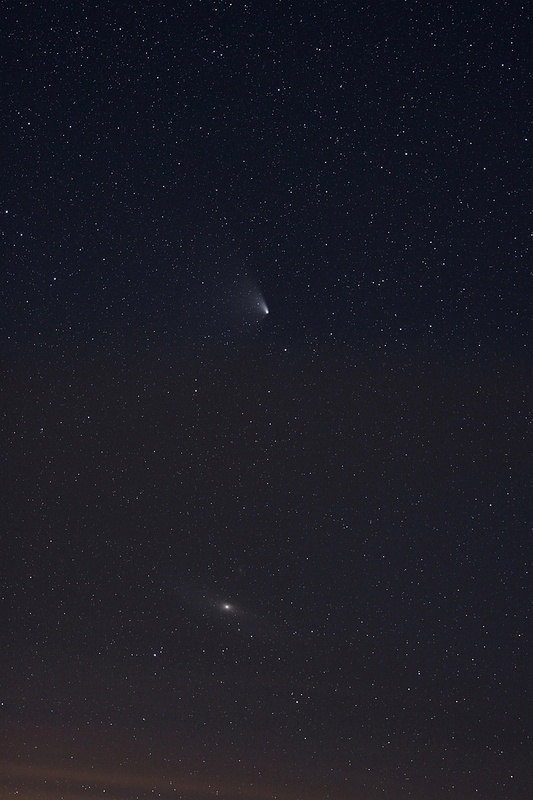 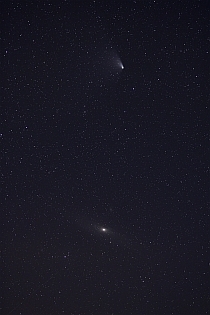 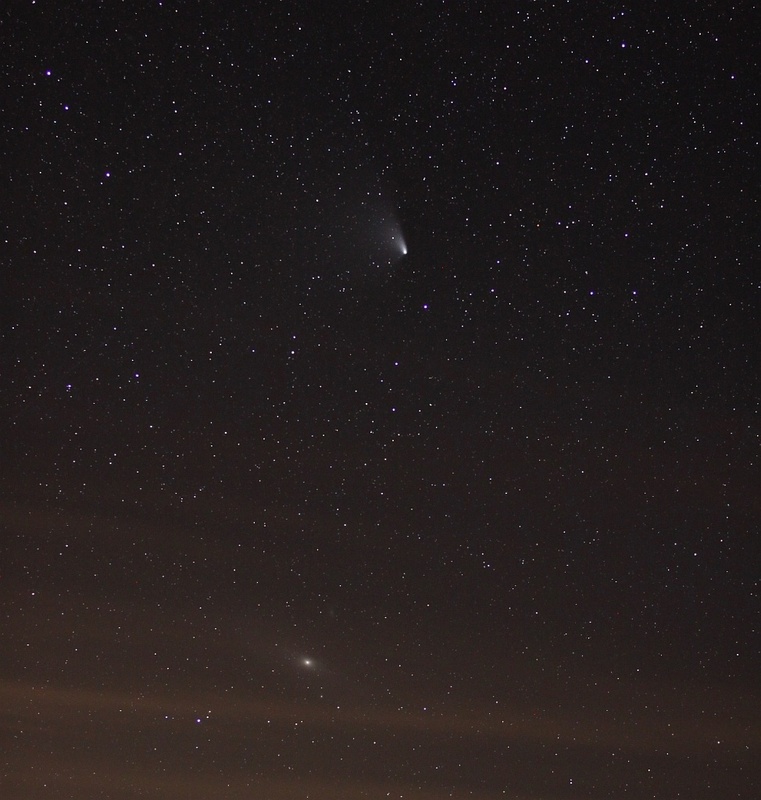 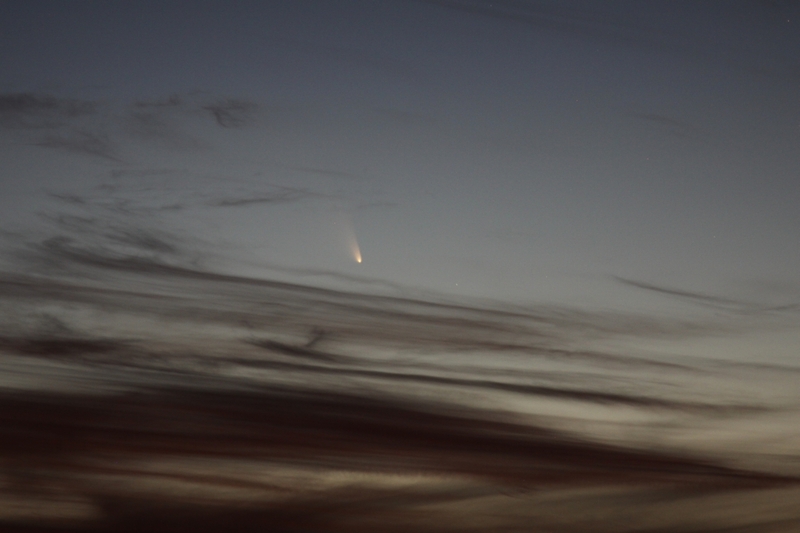 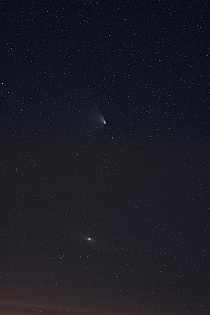 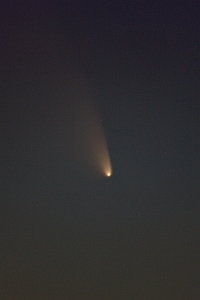 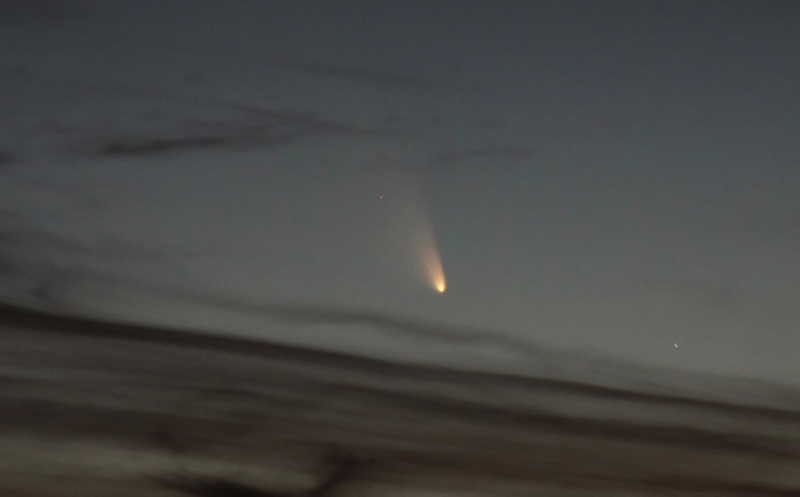 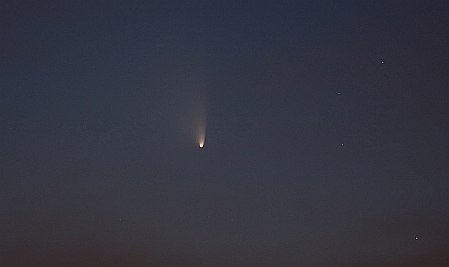 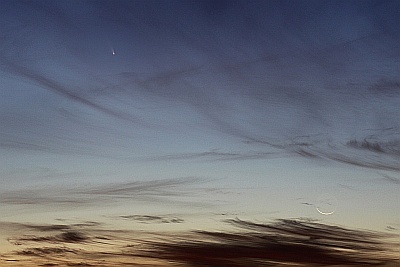 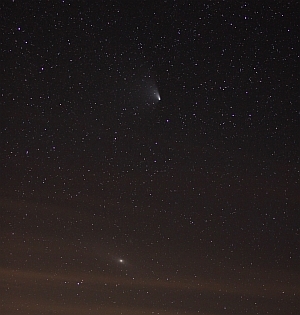 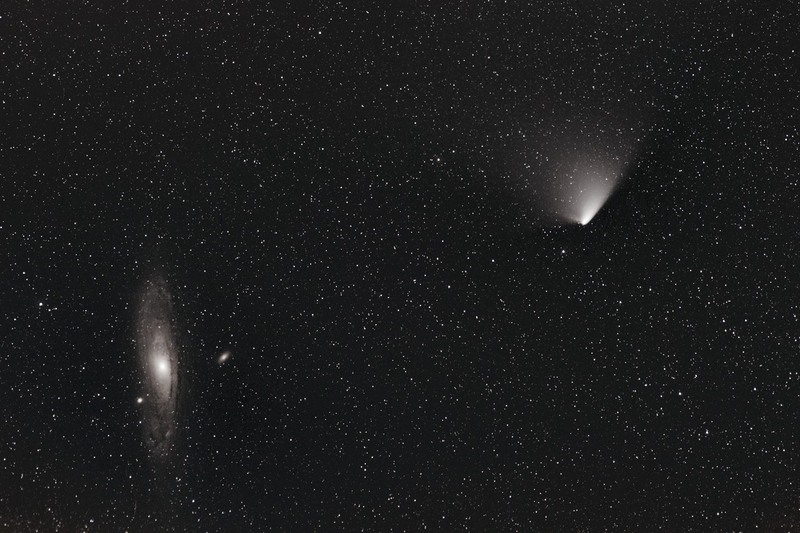 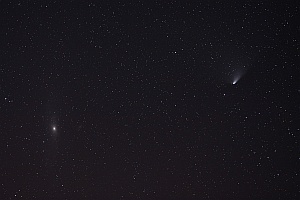 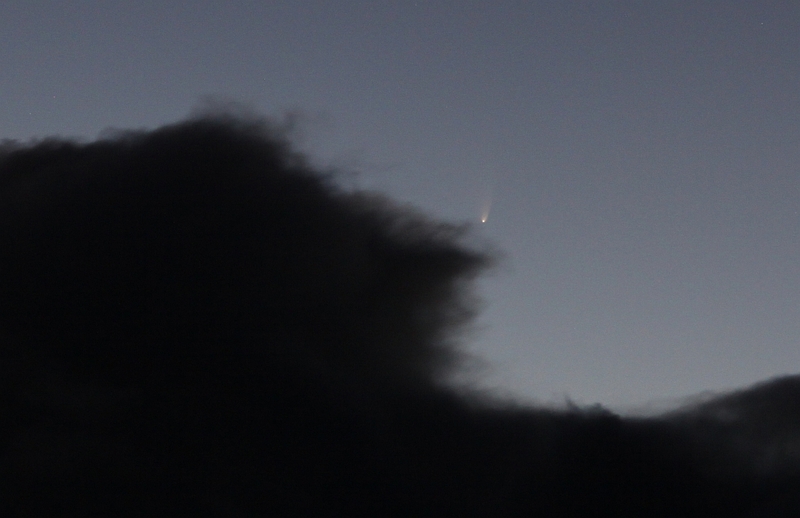 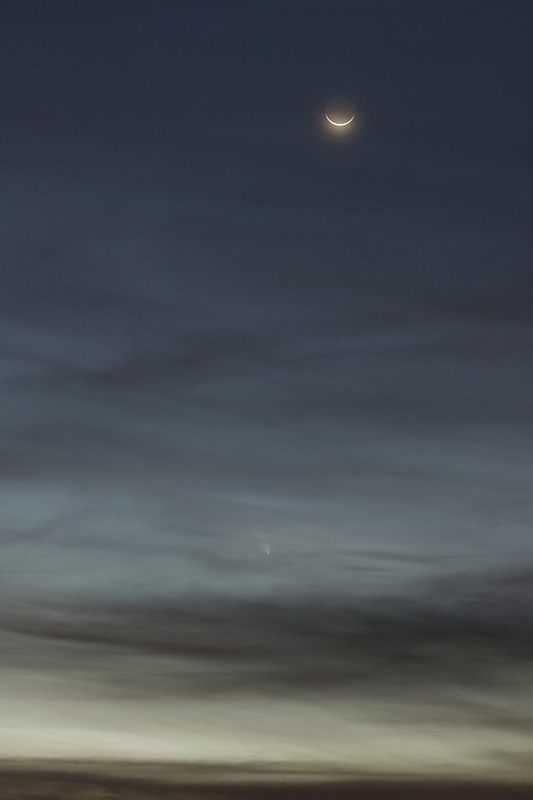 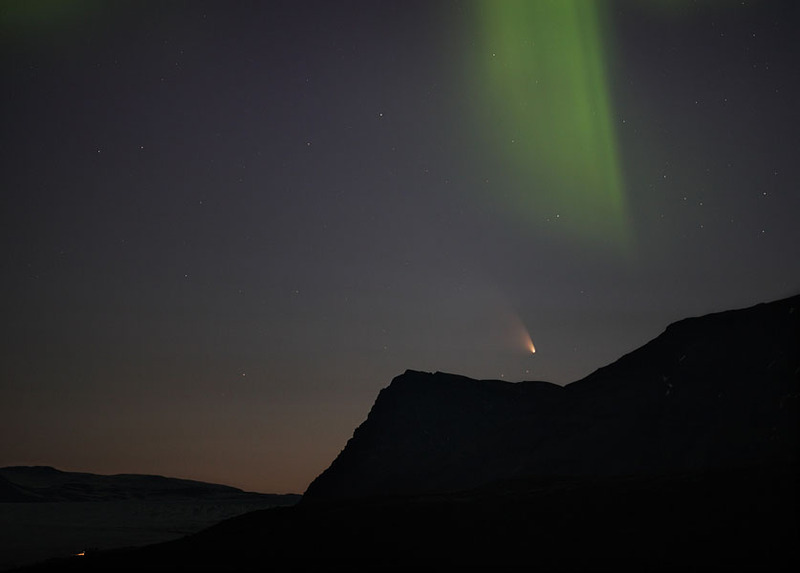 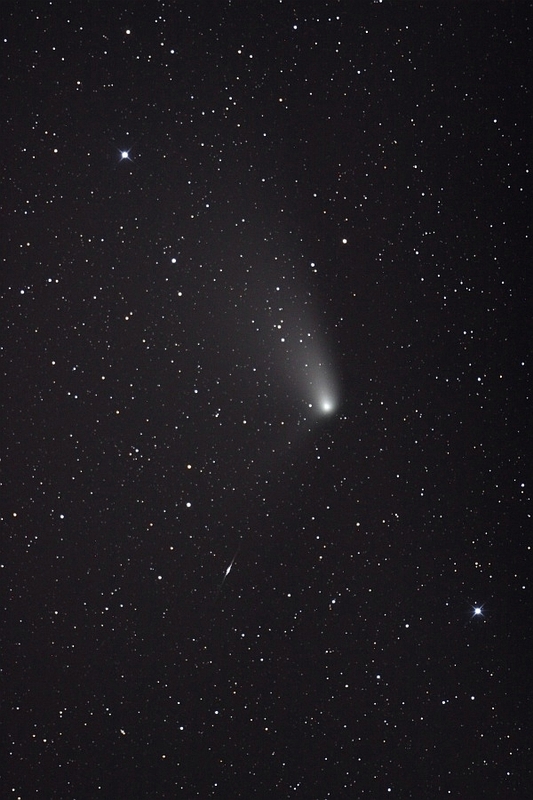 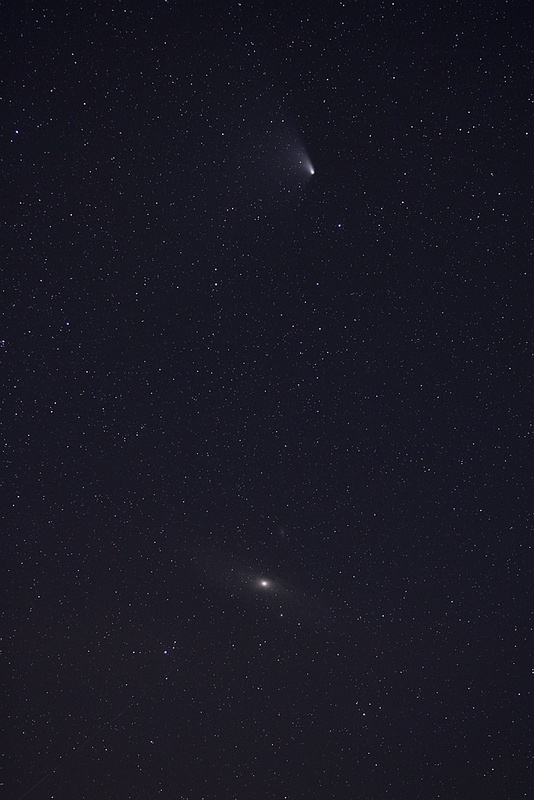 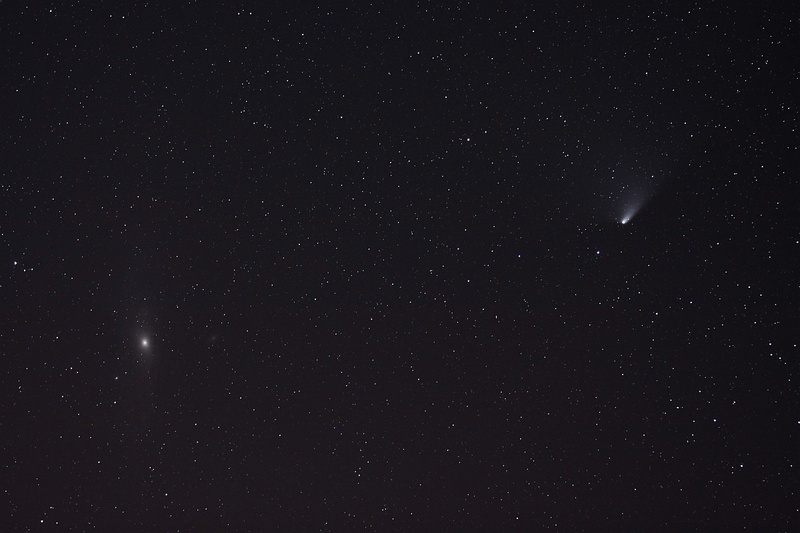 Nice to see the long tail of the fading comet PanSTARRS with apprx. 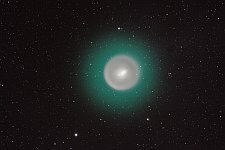 mag 9. In the morning hours clear sky made some photos possible. 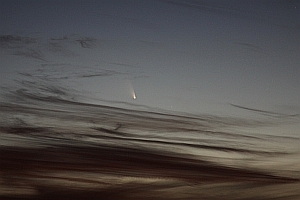 On the second photo you can discover a little meteor. 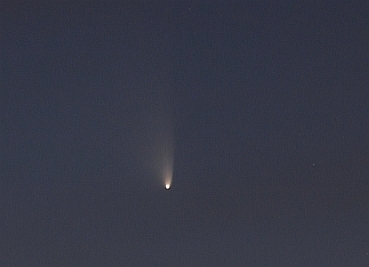 PanSTARRS is fading, the mag is may 5.0-5.5 and nearly not visible with the naked eye. Turbulent atmosphere! 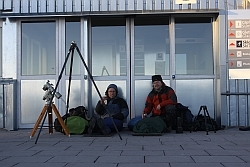 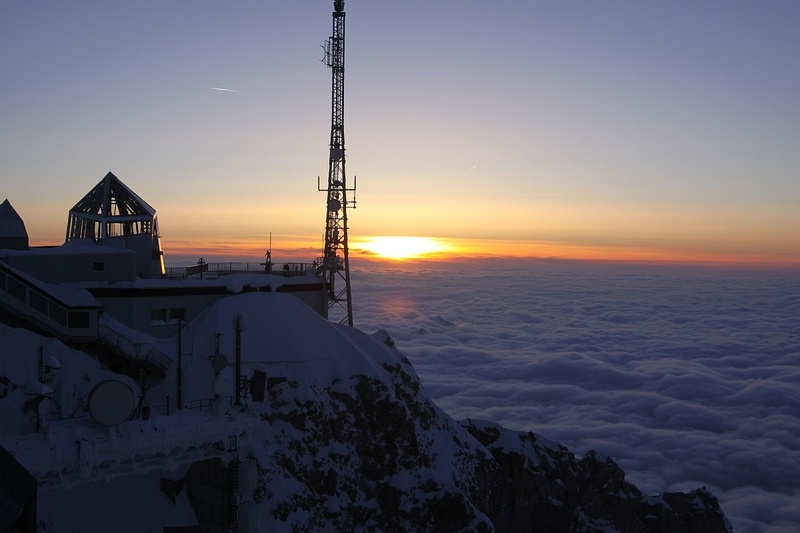 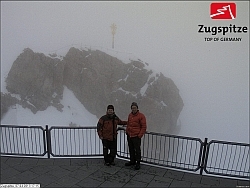 To stand in the snowfall (left) and temperatures down to -14 ° C with the Astro equipment on the locked Zugspitze station leaves in this situation a strong doubt to your own mind. What am I doing here at all !?! 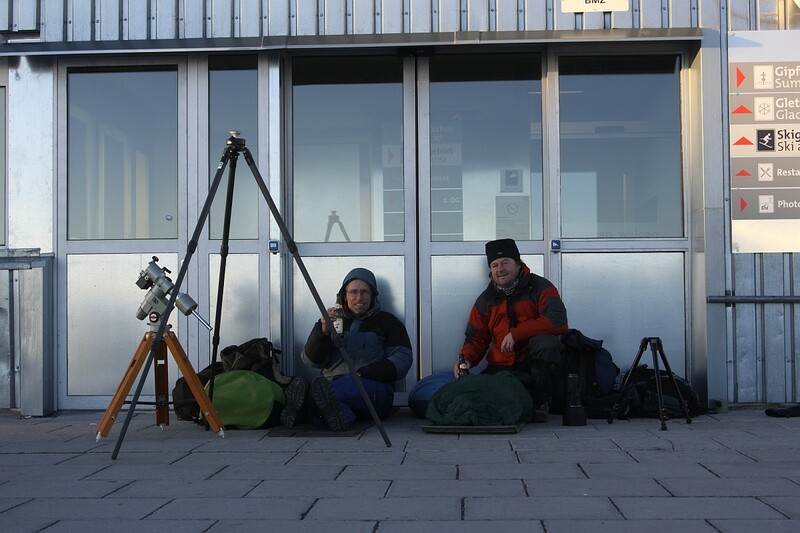 But about 19:00 it cleared off hesitant, and now we suddenly had the feeling might standing still to the right place. 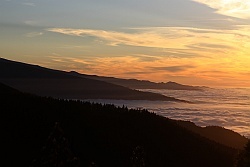 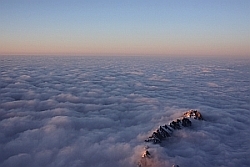 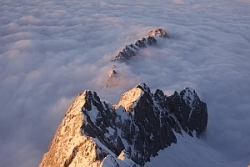 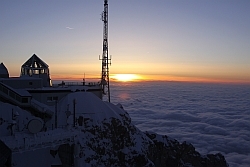 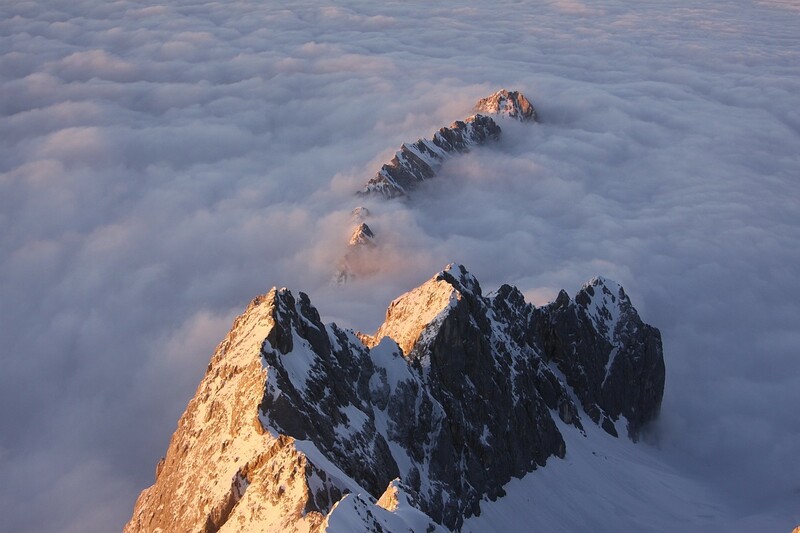 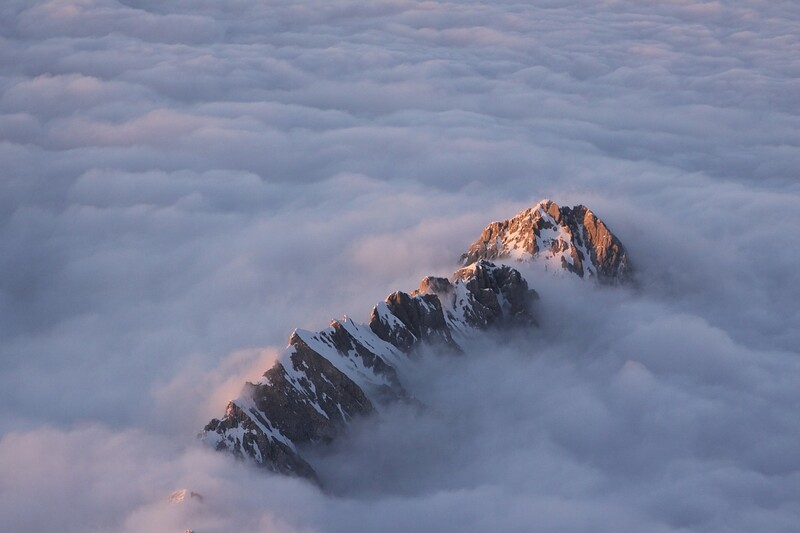 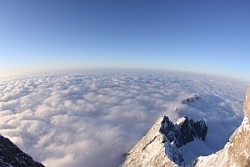 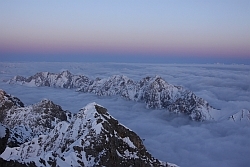 At 19:25, the upper cloud layer was completely dissolved, and a fantastic alpine landscape appeared, and until 4.45 in the morning the celestrial world was perfect. 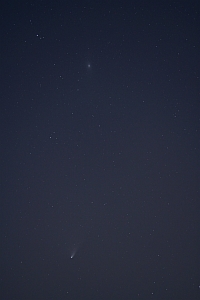 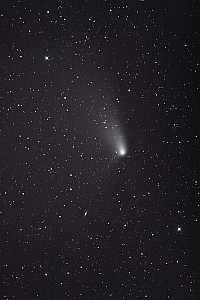 Comet near Andromeda Galaxy M31. 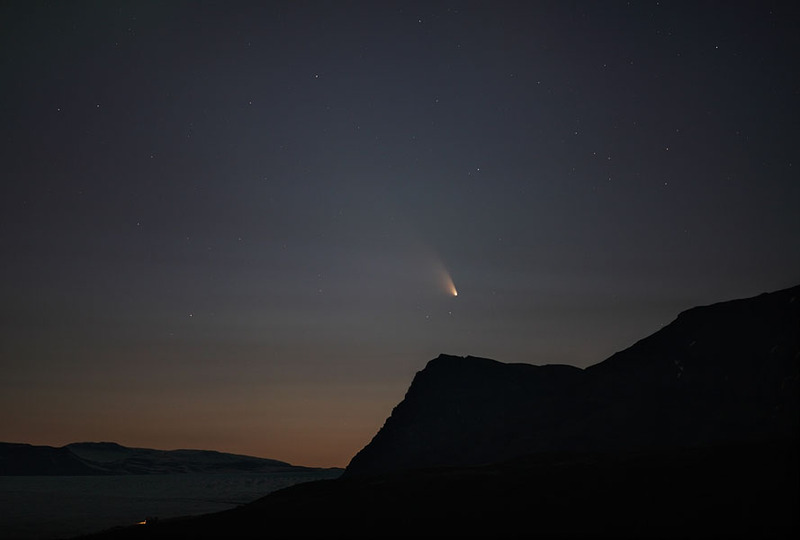 The light hazy condition amplyfied the up lightning from the Inn valley and disturbed a clear observation. 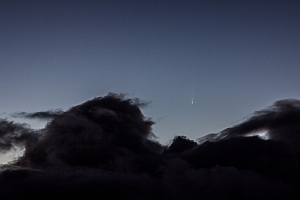 About 2,5 ° the comet begins to brighten up. 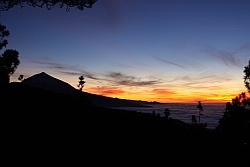 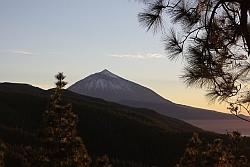 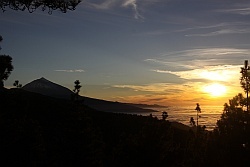 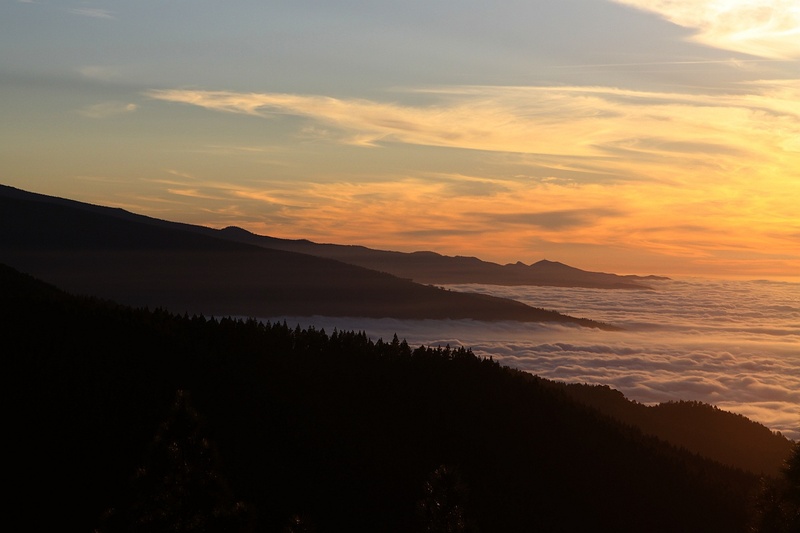 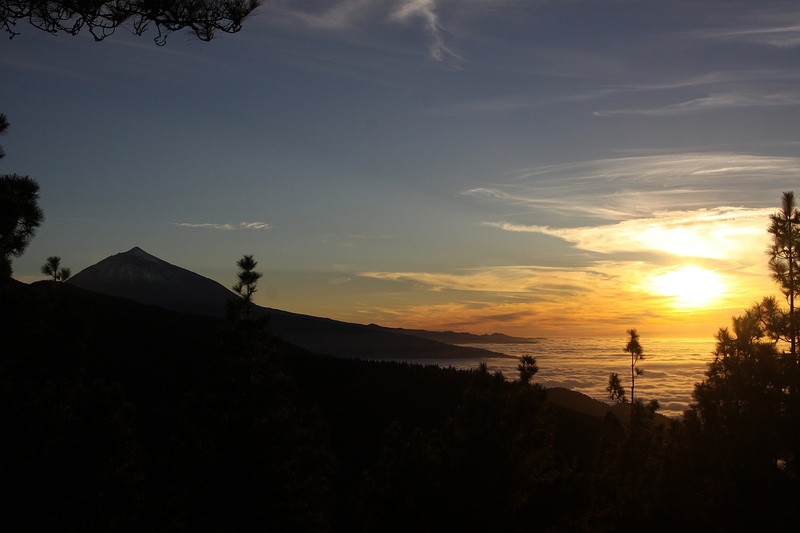 An ugly big foehn-lens behind the Teide avoided more observations.